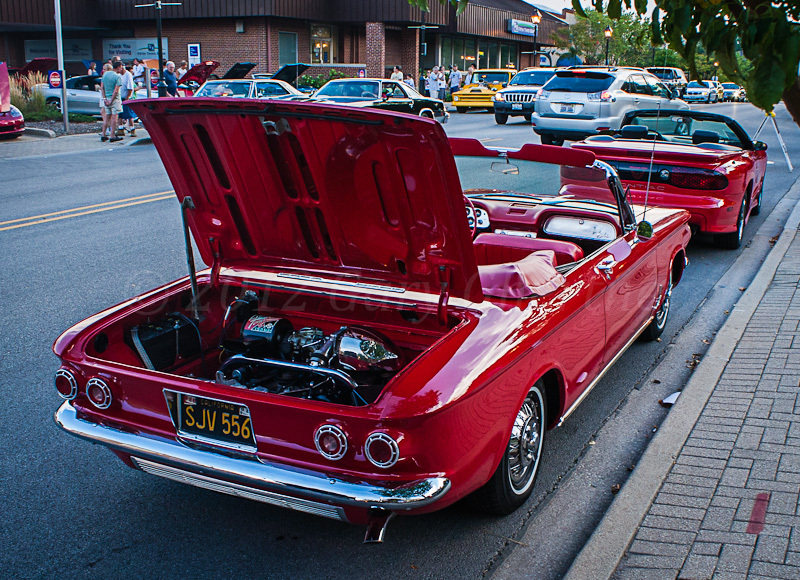 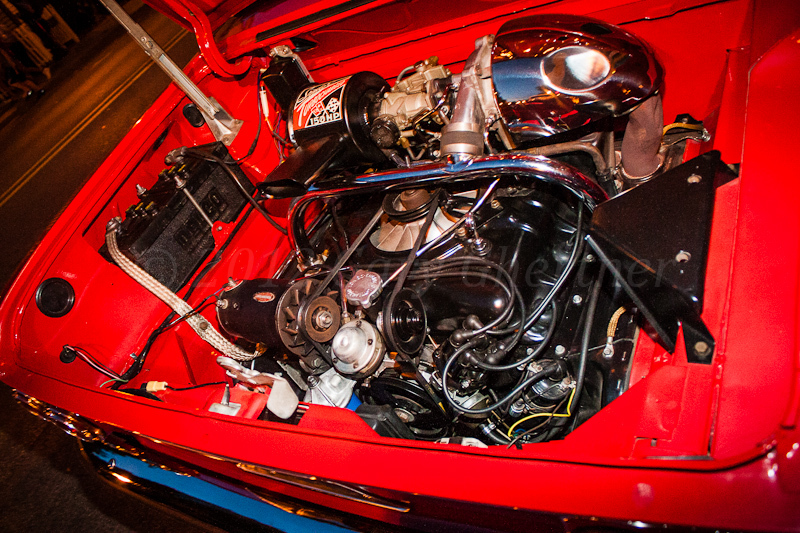 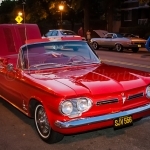 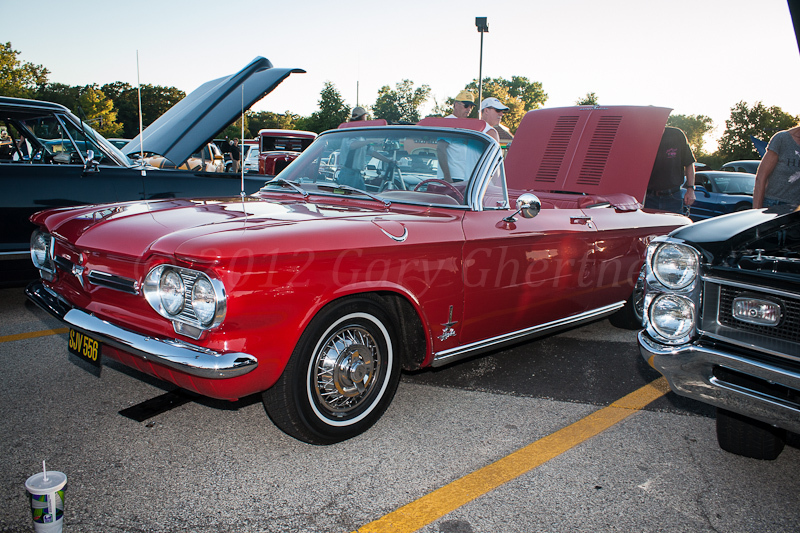 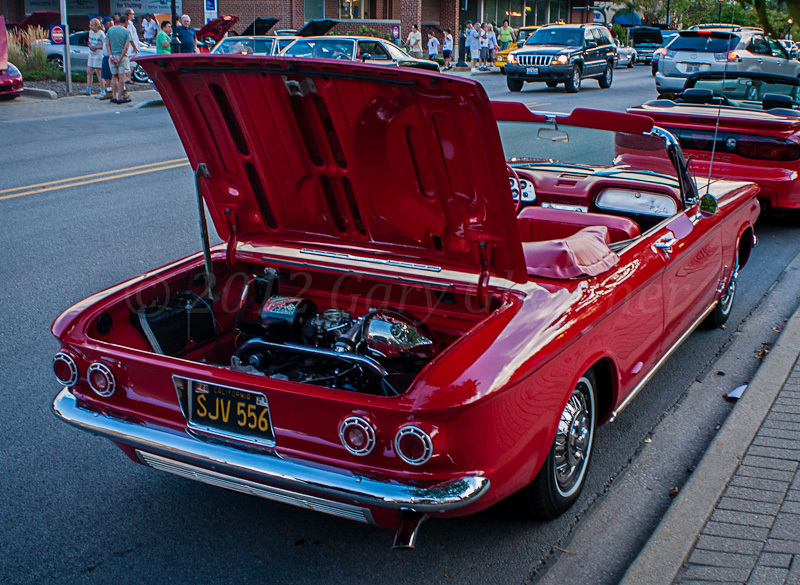 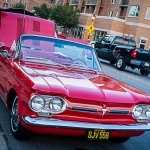 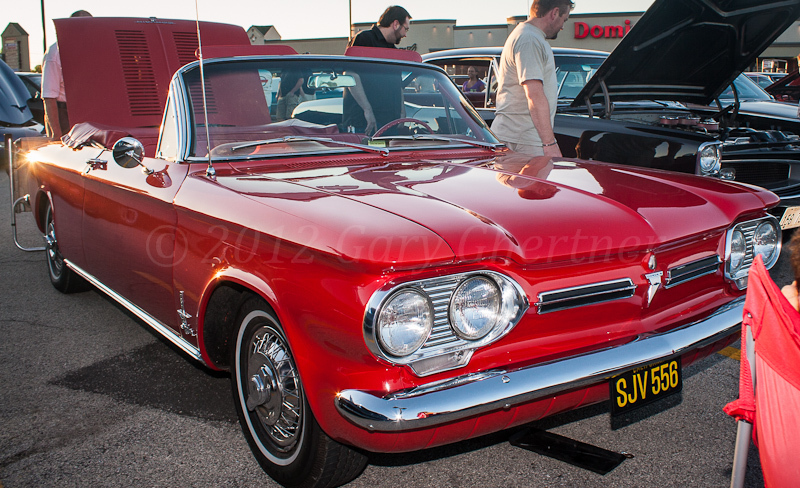 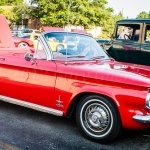 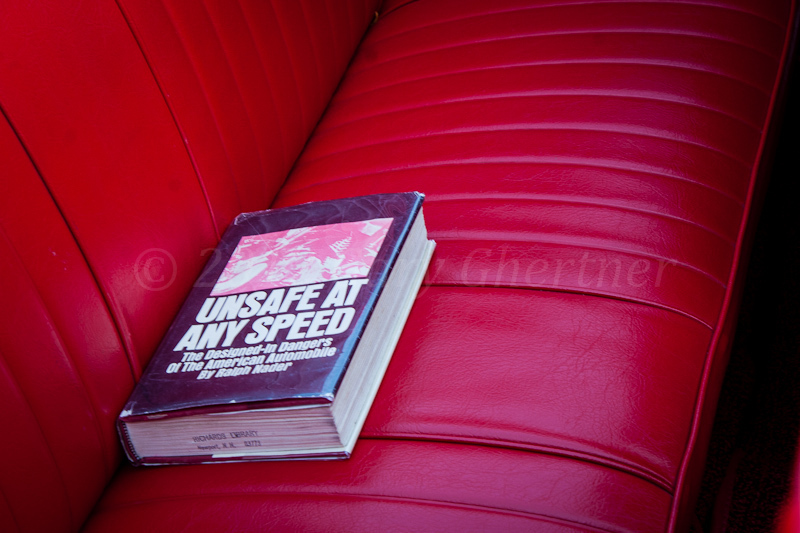 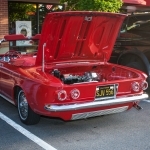 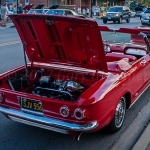 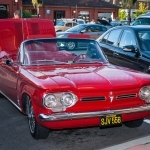 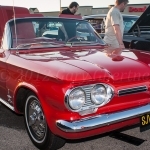 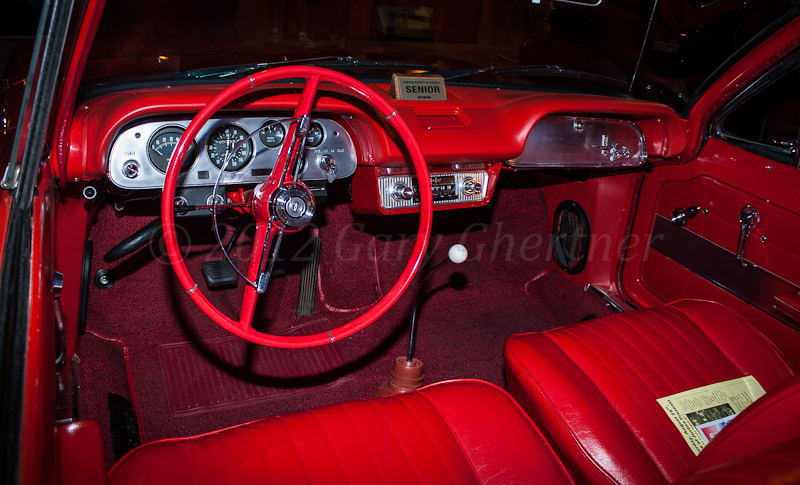 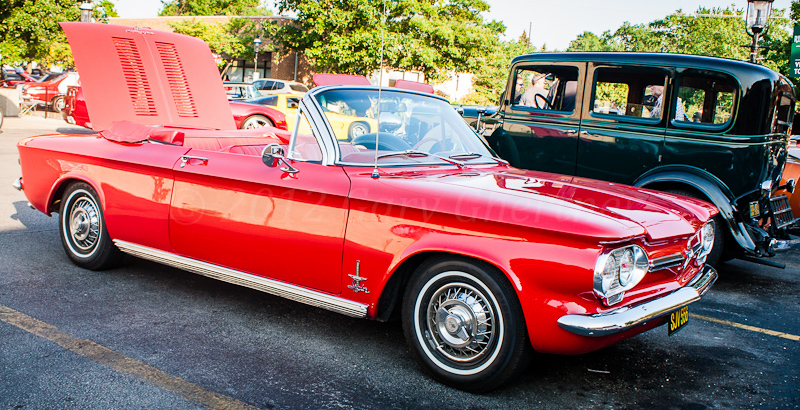 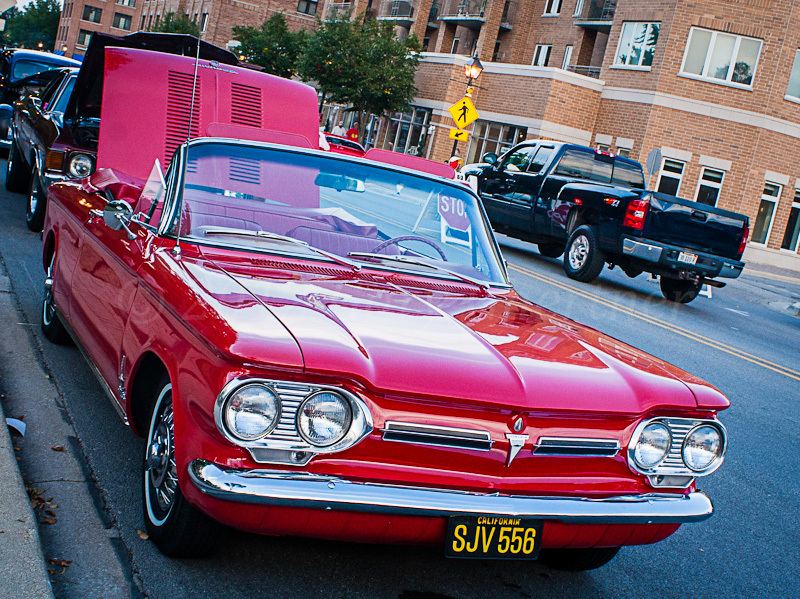 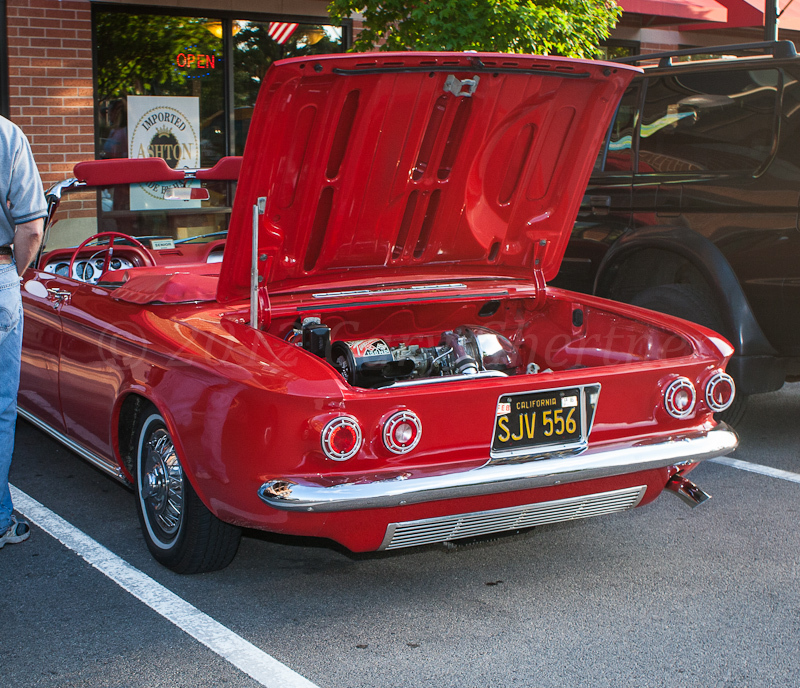 Fred and Dawn own a ’62 Chevrolet Corvair Spyder with Turbocharged flat-six engine. 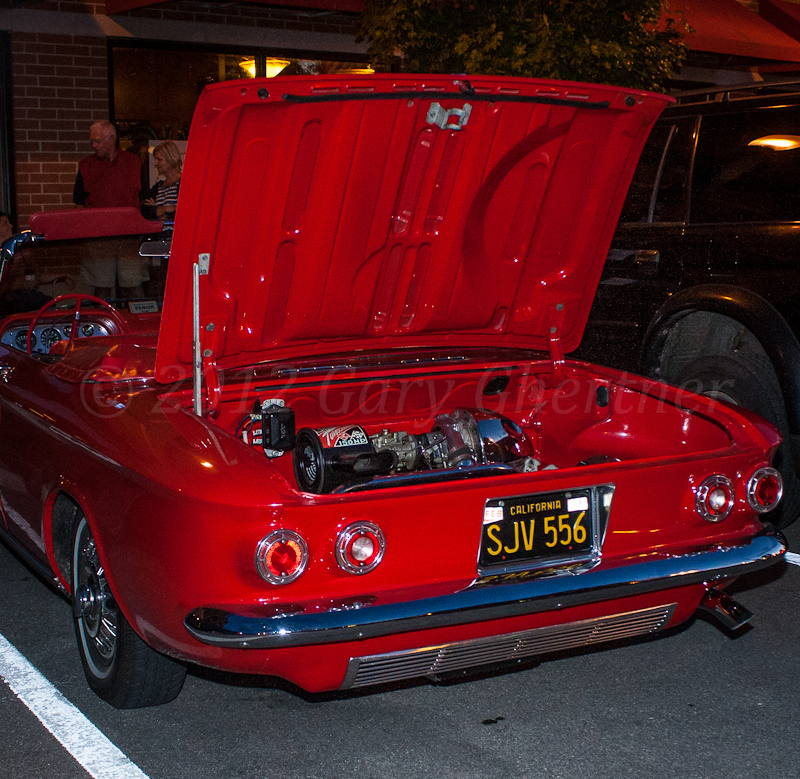 The car loves 110 octane Sunoco which costs $ 7.50 a gallon, but it usually gets only 93 octane premium fuel. 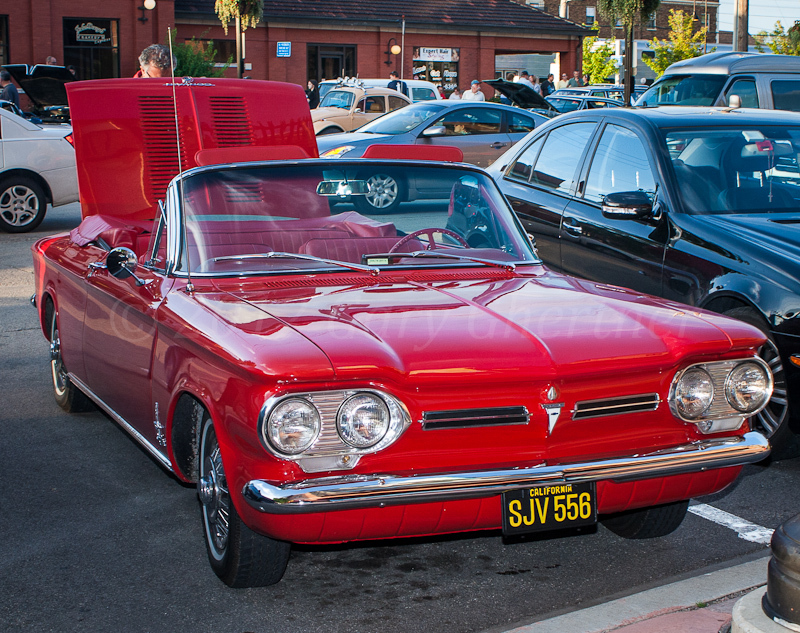 Fred had a Corvair in high school when he lived in Southern California; and then they married so the car went. 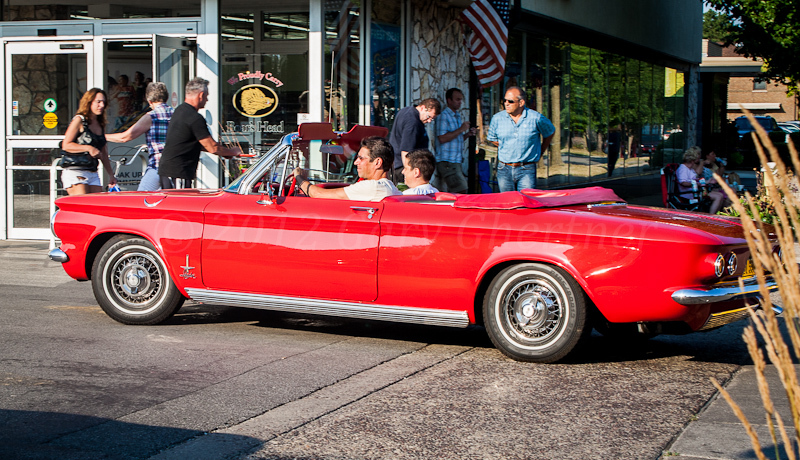 Three years ago, Fred ‘got his car back’. 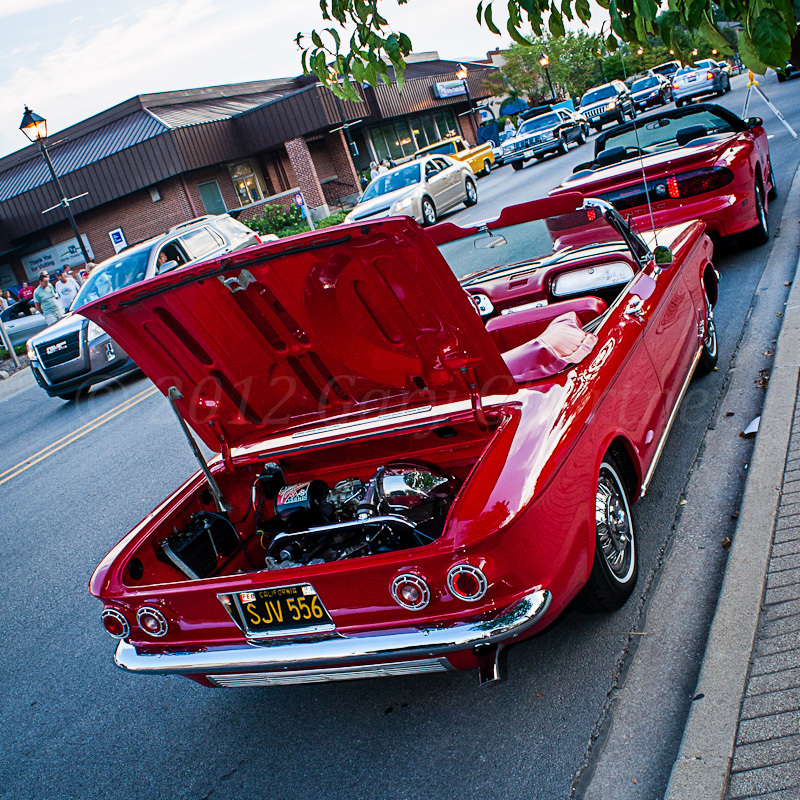 They just returned from a Corvair convention in Massachusetts. 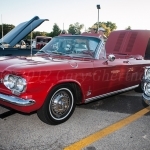 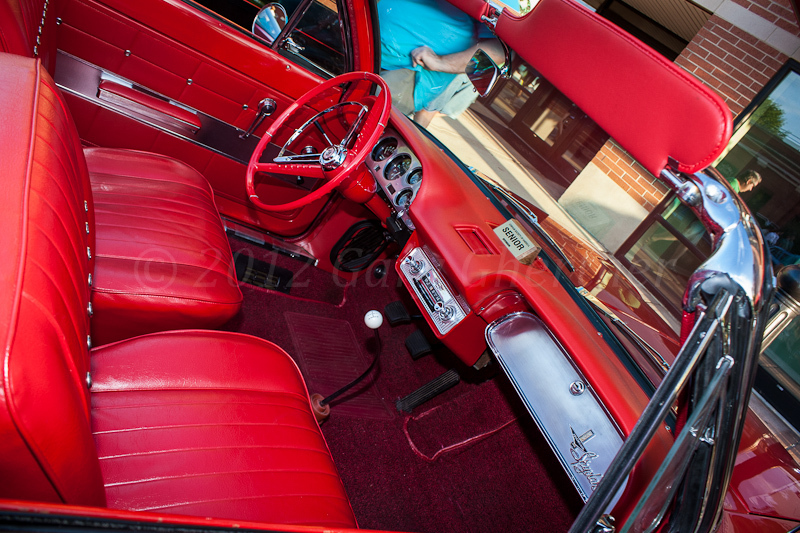 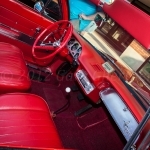 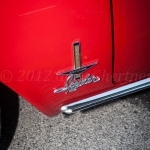 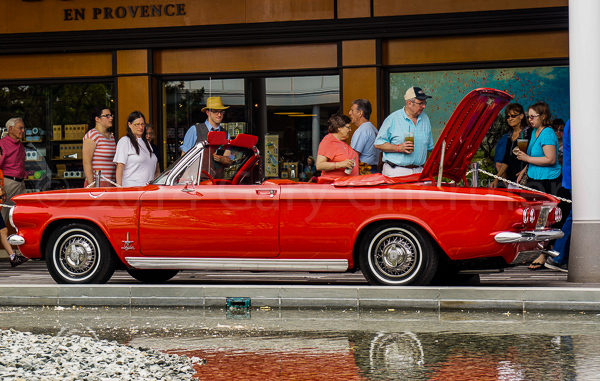 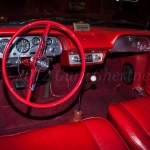 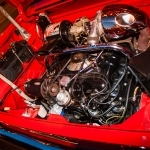 The car was invited to the annual Oak Brook Centre Father’s Day car show on June 15, 2014. 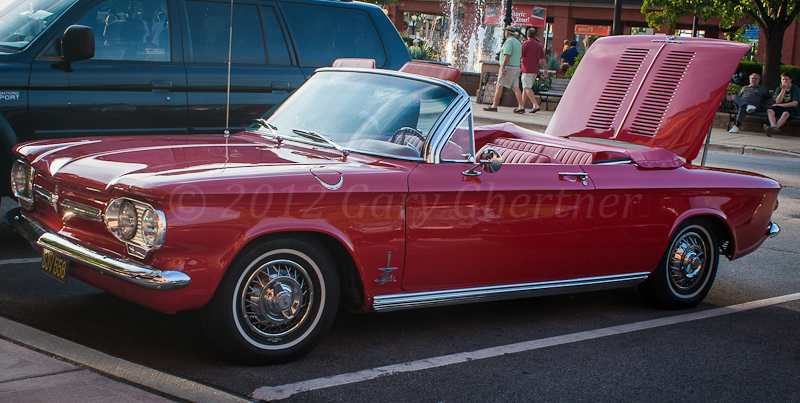 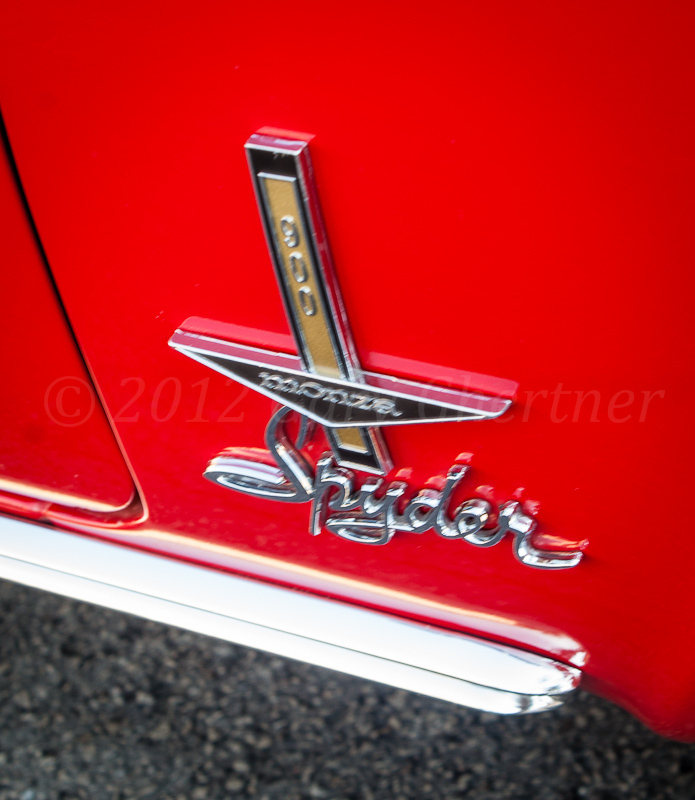 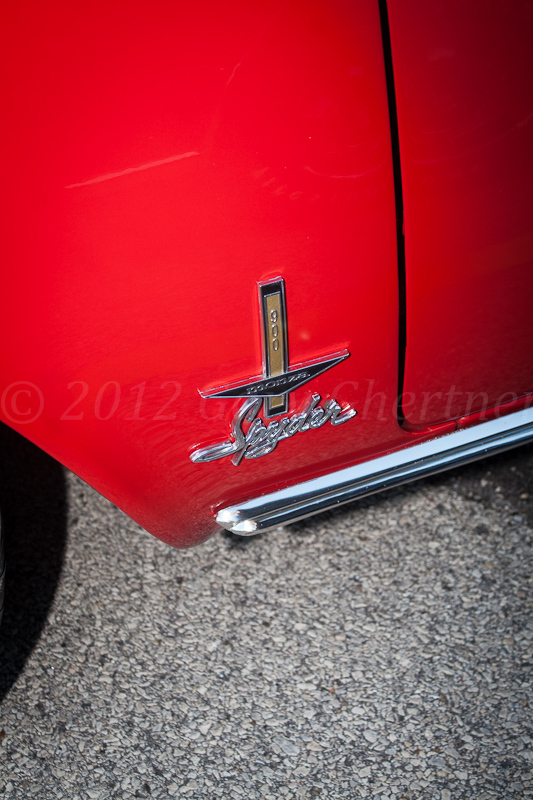 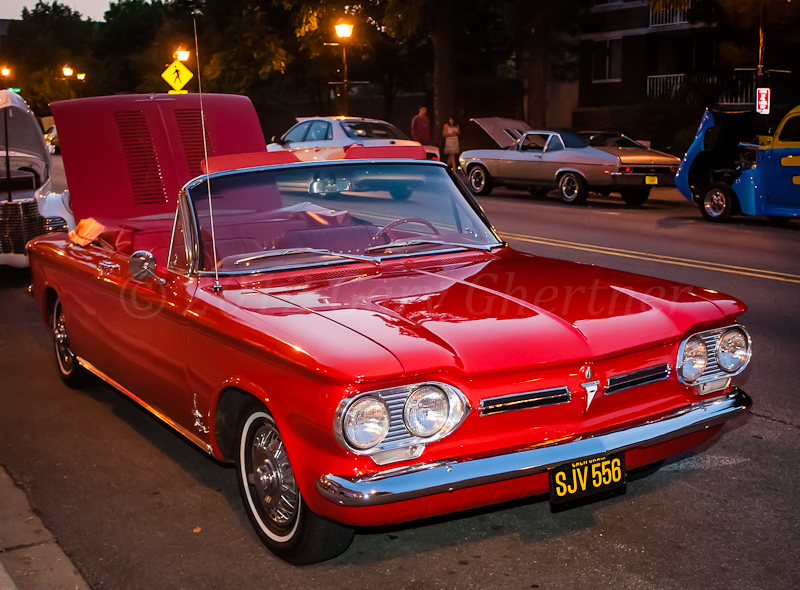 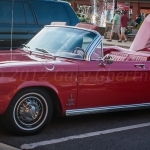 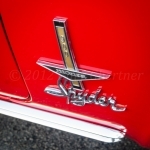 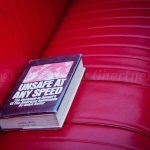 I met Fred and Dawn at Riverside and I’ve also shot this car at Westchester, Lombard and Downer’s Grove Cruise Nights.